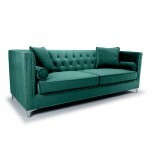 Shankar is a company based in Wolverhampton that specialises in high quality Home Furniture, Living Room Furniture and Dining Furniture such as an extensive collection of exquisite dining chairs, gorgeous dining tables, coffee tables, sideboards, home office chairs, tv stands, dining sets, sofas, chaise, armchairs and many more pieces of home furniture. 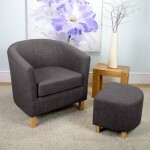 Accent Chairs - Shankar Burford Grey Button Back Living Room Chair Stylish sloped back accent chairs with gorgeous antique grey washed linen upholstery The back of the chair has deep button details.. 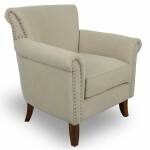 Accent Chairs - Shankar Burford Grey Square Stud Living Room Chair Stylish square back accent chairs with gorgeous antique grey washed linen upholstery Sophisticated and charming, this solid was.. 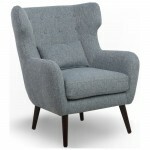 Accent Chairs - Shankar Conrad Lounge Chair in Grey, Fabric Chair Superbly comfortable lounge chair in a grey fabric upholstery With its remarkable design, combining style and comfort, the timeless.. 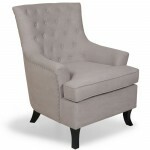 Accent Chairs - Shankar Melrose Grey Button Back Living Room Chair Stylish sloped back accent chairs with gorgeous stone grey dusky cotton upholstery This unique Sloping Buttoned Back and deep fill.. 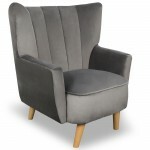 Accent Chairs - Shankar Melrose Grey Wing Back Living Room Chair Stylish sloped back accent chairs with gorgeous stone grey dusky cotton upholstery Traditional in design with a modern twist, this u.. 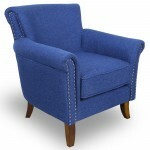 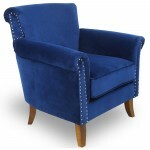 Accent Chairs - Shankar Mercer Lounge Chair in Colonial Blue Curved back accent chairs with luxurious colonial blue silken effect fabric upholstery The Mercer Chair is covered in a soft and luxurio.. 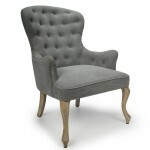 Accent Chairs - Shankar Mercer Lounge Chair in Natural Curved back accent chairs with luxurious natural silken effect fabric upholstery The Mercer Chair is covered in a soft and luxurious Natural S..
Armchair - Shankar Grey Tweed Tub Chair and Stool Set 057-03-41-05-01	A stylish arm chair with sumptuous grey coloured tweed upholstery	Accompanying the Tub Chair is a matching grey tweed fo..
Shankar Cinema Armchair in Silver Grey 018-12-09-05-01	Upholstered in a stunning silver grey fabricThe neutral colour of this product ensures that it can be used in any setting. 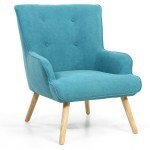 The Cinema lounge chai..
Shankar Cinema Armchair in Turquoise 018-45-64-05-01 Upholstered in a stunning turquoise chenille effect fabric The Cinema lounge chair will be a comfortable and stylish addition to your home. Perfe..
Shankar Dorchester Green Brushed Velvet Armchair 610-09-40-10-01	This square edge Armchair is designed to transform the interior look of any room.Upholstered in a gorgeous green coloured brushed velve..
Shankar Dorchester Grey Brushed Velvet Armchair 610-09-03-10-01	This square edge Armchair is designed to transform the interior look of any room.Upholstered in a gorgeous grey coloured brushed velvetF..
Shankar Dorchester Ocean Blue Brushed Velvet Armchair 610-09-32-10-01	This square edge Armchair is designed to transform the interior look of any room.Upholstered in a gorgeous ocean blue coloured bru..
Armchairs - Shankar Hayden Natural Stonewash Fabric Armchair A stylish and bold Armchair with winged feet Upholstered in a Natural Stonewash effect fabric featuring studded detailing.This extremely..
Armchairs - Shankar Hayden Ocean Blue Crushed Velvet Armchair A stylish and bold Armchair with winged feet Upholstered in an Ocean Blue Brushed Velvet fabric featuring studded detailing.This extrem..
Armchairs - Shankar Hayden Sapphire Blue Crushed Velvet Armchair A stylish and bold Armchair with winged feet Upholstered in a Sapphire Blue Brushed Velvet fabric featuring studded detailing.This e..
Armchairs - Shankar Hayden Jonquil Yellow Stonewash Fabric Armchair A stylish and bold Armchair with winged feet Upholstered in a Jonquil Yellow Stonewash effect fabric featuring stu..
Armchairs - Shankar Lawford Mink Brushed Velvet Armchair Stunning armchair in mink brushed velvet fabric upholstery This welcoming armchair features bags of charm with buttoned upholstery and studd..
Armchairs - Shankar Lawford Natural Stonewash Fabric Armchair Stunning armchair in natural stonewash fabric upholstery This welcoming armchair features bags of charm with buttoned upholstery and st..
Armchairs - Shankar Linen Look Tub Chair and Stool 057-06-26-05-01	A stylish arm chair with sumptuous upholsteryUpholstered in a gorgeous Charcoal coloured linen effect fabric	A classic Tub ..
Shankar Marquess Wing Back Armchair in Green 024-09-40-10-01	This Tufted Wing Back Luxury Armchair with stud details all around, is the perfect addition to any living space looking to add a bit of a m..
Shankar Marquess Wing Back Armchair in Grey 024-09-03-10-01	This Tufted Wing Back Luxury Armchair with stud details all around, is the perfect addition to any living space looking to add a bit of a mo..
Shankar Marquess Wing Back Armchair in Ocean Blue 024-09-32-10-01	This Tufted Wing Back Luxury Armchair with stud details all around, is the perfect addition to any living space looking to add a bit o..
Shankar Marquess Wing Back Armchair in Pink Bloom 024-09-62-10-01	This Tufted Wing Back Luxury Armchair with stud details all around, is the perfect addition to any living space looking to add a bit o..
Armchairs - Shankar Penbury Grey Brushed Velvet Armchair Stunning armchair in grey brushed velvet fabric upholstery Add a touch of glamour to a home with this stylish, curvaceous, wing armchair.Uph..
Armchairs - Shankar Penbury Mink Brushed Velvet Armchair Stunning armchair in mink brushed velvet fabric upholstery Add a touch of glamour to a home with this stylish, curvaceous, wing armchair.Uph..
Armchairs - Shankar Restmore Regency Stripe Arm Chair 631-04-11-24-03 A stylish arm chair with sumptuous upholstery in a fashionable regency stripe fabric.The Restmore armchair combines style..
Armchairs - Shankar Silver Crushed Velvet Tub Chair Set 057-22-19-05-01	A sumptuous tub chair set with luxurious upholsteryA sophisticated take on luxury with the romance and allure of a sumptuous c..
Armchairs - Shankar Stripe Tub Chair and Stool Set 057-04-11-05-01	A stylish armchair with sumptuous upholsteryUpholstered in a sumptuous Duck Egg Blue striped fabric	A classic Tub Chair and match..
Armchairs - Shankar Tweed Tub Chair and Stool 057-03-11-05-01	A stylish arm chair with sumptuous upholstery	A classic Tub Chair and matching footstool	Will add a touch of elegance to any room	Su..
Barstools - Shankar Havana Black Leather Effect Bar Stool 059-14-04-10-01 by Shankar The back and seat frame are in Walnut on the outside and upholstered in a stunning and luxurious Black leather ef..
Barstools - Havana Cream Leather Effect Bar Stool 059-14-17-10-01 by Shankar The back and seat frame are in Walnut on the outside and upholstered in a stunning and luxurious Cream leather effect mat..
Barstool - Mako Swivel Grey Faux Leather Bar Chair 040-14-01-12-03 by Shankar	Upholstered in a stunning and luxurious Graphite Grey faux leather with striking yellow pipingFeatures a swivel self retur..
Barstool - Mako Swivel Yellow Faux Leather Bar Chair 040-14-03-12-03 by Shankar	Upholstered in a stunning and luxurious Medallion Yellow faux leather with striking grey pipingFeatures a swivel self re..
Barstools - Rocco Black Height Adjustable Swivel Bar Stool by Shankar 019-09-01-10-01	Upholstered in a stunning and luxurious Black Brushed VelvetButtoned backStud detailing around the front, back and..
Barstools - Rocco Luxury Green Bar Stool 019-09-40-10-01 by Shankar Upholstered in a stunning and luxurious Green Brushed Velvet Buttoned back Stud detailing around the front, back and sides Heigh..
Barstools - Rocco Luxury Grey Bar Stool 019-09-03-10-01 by Shankar Upholstered in a stunning and luxurious Grey Brushed Velvet Buttoned back Stud detailing around the front, back and sides ..
Barstools - Rocco Luxury Grey Leather Effect Bar Stool 019-14-01-10-01 by Shankar	Upholstered in a stunning and luxurious Graphite Grey leather effect material Buttoned backStud detailing ar..
Barstools - Rocco Luxury Mink Bar Stool 019-09-02-10-01 by Shankar Upholstered in a stunning and luxurious Mink Brushed Velvet Buttoned back Stud detailing around the front, back and si..
Barstools - Rocco Luxury Ocean Blue Bar Stool 019-09-32-10-01 by Shankar Upholstered in a stunning and luxurious Ocean Blue Brushed Velvet Buttoned back Stud detailing around the front, back and s..
Barstools - Rocco Luxury Yellow Leather Effect Bar Stool 019-14-03-10-01 by Shankar	Upholstered in a stunning and luxurious Yellow leather effect material Buttoned backStud detailing around the f..
Barstools - Skypod Curved Grey Leather Effect Bar Chair 034-16-01-12-02 by Shankar Upholstered in a stunning and luxurious City Grey antiqued leather effect material.Relaxed pitched curved back, sea..
Barstools - Skypod Curved Tan Leather Effect Bar Chair 034-16-02-12-02 by Shankar Upholstered in a stunning and luxurious Urban Tan antiqued leather effect material.Relaxed pitched curved back, seat..
Barstools - Skypod Square Back Grey Leather Effect Bar Stool 035-16-01-12-03 by Shankar Upholstered in a stunning and luxurious City Grey antiqued leather effect material.Relaxed low square back, sw..
Barstools - Skypod Square Back Tan Leather Effect Bar Stool 035-16-02-12-03 by Shankar Upholstered in a stunning and luxurious Urban Tan antiqued leather effect material.Relaxed low square back, swi..
Barstools - Skypod Square Base Grey Leather Effect Bar Stool 032-16-01-12-03 by Shankar Upholstered in a stunning and luxurious City Grey antiqued leather effect material.Relaxed armless square-shap..
Barstools - Skypod Square Base Tan Leather Effect Bar Stool 032-16-02-12-03 by Shankar Upholstered in a stunning and luxurious Urban Tan antiqued leather effect material.Relaxed armless square-shape..
Barstools - Tosca Black Leather Effect Bar Stool 060-14-04-10-01 by Shankar	Upholstered in a stunning and luxurious Black leather effect material.Beautifully shaped walnut back rest and seat.The Tosca..
Barstools - Tosca Cream Leather Effect Bar Stool 060-14-17-10-01 by Shankar Upholstered in a stunning and luxurious Cream leather effect material. 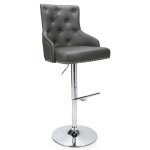 Beautifully shaped walnut back rest and seat..
Barstools - Zano Black Leather Effect Bar Stool 062-14-04-10-01 by Shankar	Upholstered in a stunning and luxurious Black leather effect material.The Zano bar stool has a lovely well proportioned seat ..
Shankar Dorchester Brushed Velvet Chaise in Green 680-09-40-10-01	Upholstered in a luxurious Green Brushed Velvet.Vintage details like button tufting and nail head trim are combined with simplified co..
Shankar Dorchester Brushed Velvet Chaise in Ocean Blue 680-09-32-10-01	Upholstered in a luxurious Ocean Blue Brushed Velvet.Vintage details like button tufting and nail head trim are combined with sim..
Shankar Dorchester Brushed Velvet Grey Chaise 680-09-03-10-01 Upholstered in a luxurious Grey Brushed Velvet. 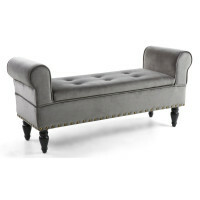 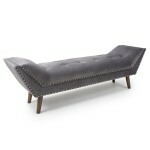 Vintage details like button tufting and nail head trim are combined with simplified c..
Shankar Montrose Brushed Velvet Grey Chaise 681-09-03-23-01	A funky chaise-style seating solution with a distinctly retro flair.The Montrose Chaise adds a luxurious touch to the home. 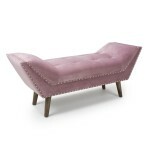 Upholstered in a..
Shankar Montrose Brushed Velvet Pink Blush Chaise 681-09-62-23-01	A funky chaise-style seating solution with a distinctly retro flair.The Montrose Chaise adds a luxurious touch to the home. 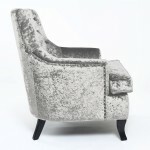 Uphol..
Shankar Montrose Crushed Velvet Silver Chaise Lounge 681-22-19-23-01	A funky chaise-style seating solution with a distinctly retro flair.The Montrose Chaise adds a luxurious touch to the home. 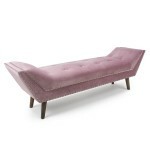 Upholst..
Shankar Mulberry Brushed Velvet Grey Chaise 682-09-03-23-01	A funky chaise-style seating solution with a distinctly retro flair.The Mulberry chaise adds a luxurious touch to the home Upholstered in a ..
Shankar Mulberry Brushed Velvet Pink Blush Chaise 682-09-62-23-01	A funky chaise-style seating solution with a distinctly retro flair.The Mulberry chaise adds a luxurious touch to the home Upholstered..
Chaise Lounge - Shankar Mulberry Crushed Velvet Silver Chaise 682-22-19-23-01	The distinct retro stylings of this unusual seat make it a fantastic option for anyone looking for a subtle touch of vint.. Pair of Capri Grey Dining Chairs 004-33-01-05-01 by Shankar	Upholstered in a fashionable Grey linen style fabricThese handsome chairs are superbly comfortable.This chair features a sprung seat for add.. Pair of Capri Natural Dining Chairs 004-33-02-05-01 by Shankar	Upholstered in a fashionable Natural linen style fabricThese handsome chairs are superbly comfortable.This chair features a sprung seat f.. Pair of Shankar Balmoral Charcoal Stripe Accent Chairs 090-42-26-01-03 Upholstered in a gorgeous Charcoal Stripe Velvet fabric Dark wooden legs. 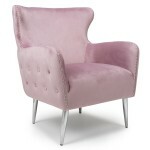 This charming chair would be the perfect addition t.. 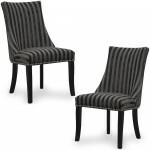 Pair of Shankar Balmoral Mink Stripe Accent Chairs 090-42-02-01-03 Upholstered in a gorgeous Mink Stripe Velvet fabric Dark wooden legs. 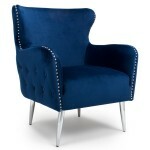 This charming chair would be the perfect addition to any di.. 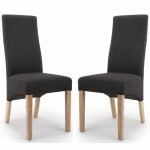 Pair of Shankar Baxter Charcoal Dining Chairs 084-06-26-05-03 BAXT-CHAL Upholstered in luxurious Charcoal coloured Linen Effect fabric. 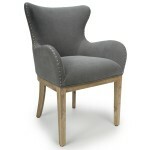 Wave back dining chair Solid Natural Rubberwood Leg.. 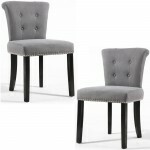 Pair of Shankar Baxter Grey Tweed Dining Chairs 084-03-41-05-03	Upholstered in luxurious Grey Tweed. 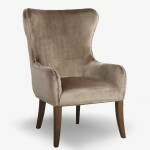 Wave back dining chairSolid Natural Rubberwood LegsEach chair has a sprung and belted seat area for.. 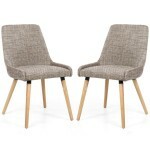 Pair of Shankar Baxter Oatmeal Tweed Dining Chairs 084-03-11-05-03	Upholstered in luxurious Oatmeal Tweed. 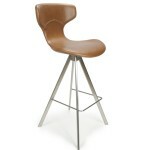 Wave back dining chairSolid Natural Rubberwood LegsEach chair has a sprung and belted seat ar.. 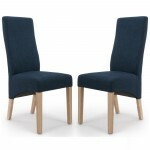 Pair of Shankar Baxter Polo Blue Dining Chairs 084-06-01-05-03	Upholstered in luxurious Polo Blue coloured Linen Effect fabric. 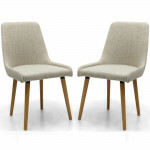 Wave back dining chairSolid Natural Rubberwood LegsEach chair has a spru.. 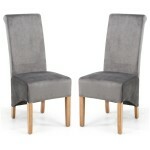 Pair of Shankar Baxter Silver Grey Dining Chairs 084-05-09-05-03	Upholstered in luxurious Silver Grey coloured Linen Effect fabric. Wave back dining chairSolid Natural Rubberwood LegsEach chair has a .. 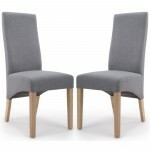 Pair of Shankar Baxter Steel Grey Dining Chairs 084-05-06-05-03	Upholstered in luxurious Steel Grey coloured Linen Effect fabric. 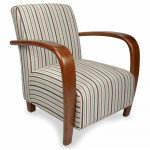 Wave back dining chairSolid Natural Rubberwood LegsEach chair has a sp.. 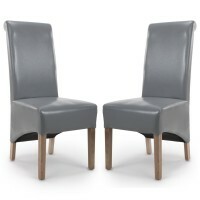 Pair of Shankar Camberwell Steel Grey Accent Chairs 049-05-06-05-01	The steel grey linen effect button back & nailhead trimmed chair adds a stately charm to any environment.The versatile colours a.. Pair of Shankar Capri Grey Tweed Dining Chair 004-03-41-05-01	A dining chair with minimal styling that emphasises contemporary livingUpholstered in fashionable grey tweed effect fabricSprung seat.. Pair of Shankar Capri Oatmeal Tweed Dining Chair 004-03-11-05-01	A dining chair with minimal styling that emphasises contemporary livingUpholstered in fashionable oatmeal tweed effect fabricSprung sea.. Pair of Shankar Krista Baroque Dining Chairs in Charcoal 001-34-26-05-03	Stylish roll back dining chairs with luxurious charcoal baroque style fabric upholstery	Each chair has a sprung and belt.. 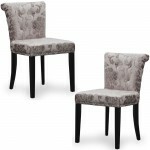 Pair of Shankar Krista Baroque Dining Chairs in Mink 001-34-02-05-03	Stylish roll back dining chairs with luxurious mink baroque style fabric upholstery	Each chair has a sprung and belted seat .. 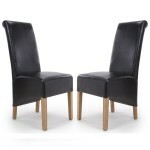 Pair of Shankar Krista Black Bonded Leather Dining Chairs 001-35-04-05-03	Stylish roll back dining chairs upholstered in black bonded leather	Each chair has a sprung and belted seat area for additio.. Pair of Shankar Krista Brown Bonded Leather Dining Chairs 001-35-12-05-03	Stylish roll back dining chairs upholstered in brown bonded leather	Each chair has a sprung and belted seat area for additio.. 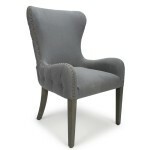 Pair of Shankar Krista Brushed Velvet Grey Dining Chairs 001-09-03-05-03 Add a luxurious touch to any room with this amazing roll back dining chair Upholstered in a luxurious grey brushed velvet fab.. 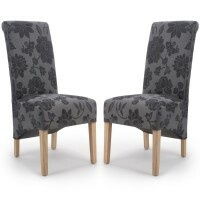 Pair of Shankar Krista Fleur Antique Grey Dining Chairs KRIS-FLR-AGRY 001-01-07-05-03	Stylish roll back dining chairs upholstered in an Antique Grey Fleur effect fabric. 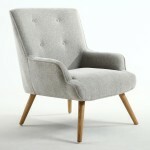 The Krista chair is the corn.. Pair of Shankar Krista Grey Bonded Leather Dining Chairs 001-35-02-05-03 Stylish roll back dining chairs upholstered in grey bonded leather Each chair has a sprung and belted seat area fo.. 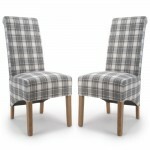 Pair of Shankar Krista Herringbone Check Dining Chairs 001-38-34-05-03 Stylish roll back dining chairs. 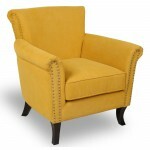 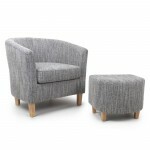 Each chair has a sprung and belted seat area for additional comfort and to help retain .. 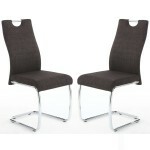 Pair of Shankar Krista Herringbone Dining Chairs in Cappuccino 001-37-34-05-03 Stylish roll back dining chairs. 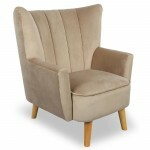 Each chair has a sprung and belted seat area for additional comfort and to help.. 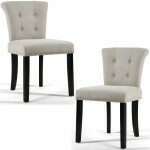 Pair of Shankar Krista Ivory Bonded Leather Dining Chairs 001-35-13-05-03 Stylish roll back dining chairs upholstered in Ivory bonded leather Each chair has a sprung and belted seat area for .. 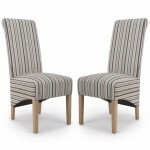 Pair of Shankar Krista Stripe Dining Chairs 001-04-11-05-03 Stylish roll back dining chairs with sumptuous striped fabric upholstery. 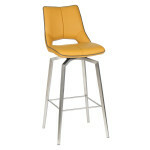 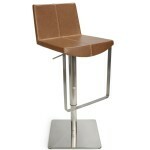 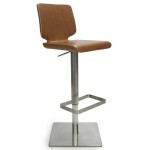 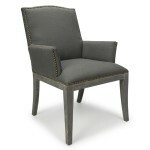 The Krista chair is the cornerstone of our dining chair r.. 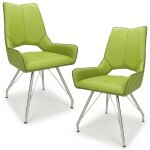 Pair of Shankar Mako Swivel Faux Leather Dining Chairs in Green 022-14-02-12-03Upholstered in a Grass Green coloured faux leather materialComplementary Grey pipingThe Mako Swivel Dining Chair off.. Pair of Shankar Mako Swivel Faux Leather Dining Chairs in Grey 022-14-01-12-03Upholstered in a Graphite Grey coloured faux leather materialComplementary Yellow pipingThe Mako Swivel Dining Chair offer.. 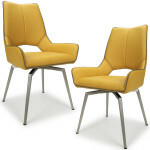 Pair of Shankar Mako Swivel Faux Leather Dining Chairs in Yellow 022-14-03-12-03 Upholstered in a Medallion Yellow coloured faux leather material Complementary Grey piping The Mako Swiv.. 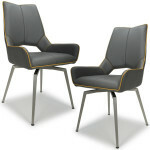 Pair of Shankar Nova Grey Dining Chairs 067-14-19-10-01 The Nova chair provides comfort and style. 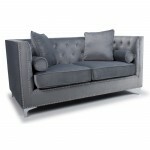 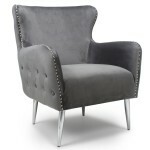 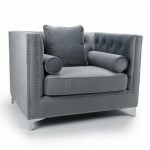 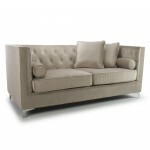 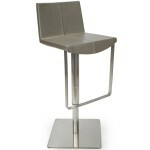 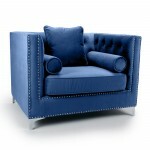 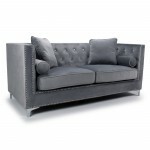 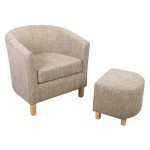 With it's cantilever chrome legs and sumptuous upholstered chair back and seat it is perfect for cr.. 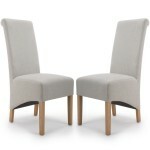 Pair of Shankar Odeon Grey Dining Chairs 091-14-19-10-01 The Odeon chair is refined and simplistically stylish. 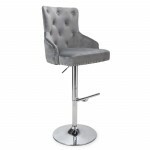 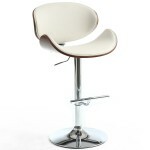 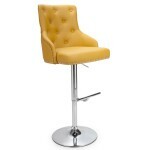 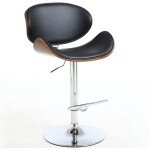 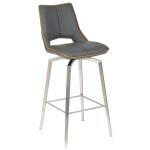 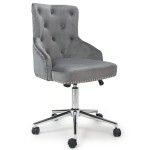 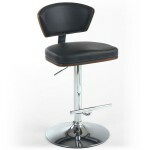 With it's rounded chair back featuring slim panel detail and sleek chrome legs it is t.. 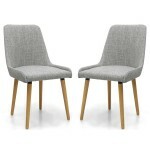 Pair of Shankar Phoenix Oak Dining Chairs 083-33-02-22-03	Made from solid oak with a natural finish	Ergonomic raked back designed for optimal support	Comfortable cushion seat pad covered in attrac.. 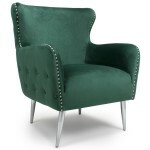 Pair of Shankar Ricardo Faux Leather Dining Chairs in Green 021-14-02-11-03 Upholstered in a Grass Green coloured faux leather material Complementary Grey piping The Ricardo Dining Chai.. Pair of Shankar Sidcup Brown Leather Effect Dining Chairs 086-11-01-02-01 Upholstered in a gorgeous Brown leather effect material The Sidcup dining chair will be sure to create a stylish atmosphe.. 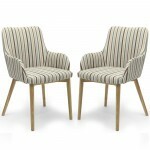 Pair of Shankar Sidcup Duck Stripe Dining Chairs 086-04-11-05-01	The Sidcup Duck Stripe dining Chair will be sure to create a stylish atmosphere in any dining room.Simple lines with softened edges off.. Pair of Shankar Sidcup Grey Tweed Dining Chairs 086-03-41-05-01	Upholstered in a gorgeous grey tweed	The Sidcup dining chair will be sure to create a stylish atmosphere in any dining room. 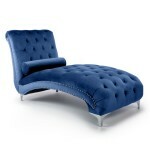 Simple li.. Pair of Shankar Sidcup Oatmeal Tweed Dining Chairs 086-03-11-05-01 Upholstered in a gorgeous oatmeal tweed The Sidcup Tweed dining Chair will be sure to create a stylish atmosphere in any dining .. Pair of Shankar Spindle Grey Dining Chairs 068-14-19-10-01 The Spindle chair is an elegant twist on a contemporary design chair. 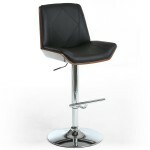 With its shapely brushed chrome legs and deep bucket seat you can enj.. 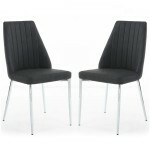 Pair of Shankar Talia Charcoal Dining Chairs 069-10-26-10-01 The Talia chair is a great choice when combining seat comfort with design flair. 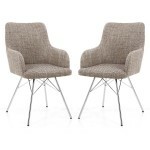 With it's cantilever chrome legs and upholstered seat an..
Shankar Capri Grey Tweed Dining Chair 004-03-41-10-01 - Chrome Legs	A dining chair with minimal styling that emphasises contemporary livingUpholstered in fashionable grey tweed effect fabricSprun..
Shankar Capri Oatmeal Tweed Dining Chair 004-03-11-10-01 - Chrome Legs	A dining chair with minimal styling that emphasises contemporary livingUpholstered in fashionable oatmeal tweed effect fabricSpru..
Shankar Sidcup Grey Tweed Dining Chair 086-03-41-10-01 - Chrome Legs Upholstered in a striking grey tweed Simple lines with softened edges offers pure relaxation, whilst the clean look signifies a s..
Shankar Sidcup Oatmeal Tweed Dining Chair 086-03-11-10-01 - Chrome Legs	Upholstered in a striking oatmeal tweedSimple lines with softened edges offers pure relaxation, whilst the clean look signifies .. 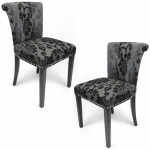 Pair of Shankar Sandringham Baroque Charcoal Accent Chairs 085-34-26-01-01 Upholstered in a sumptuous charcoal baroque velvet effect fabric. 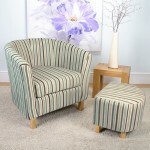 Glorious baroque swirls and a silky striped back. 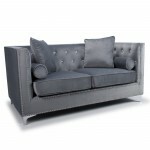 Chrom.. 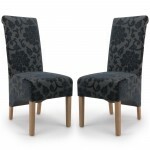 Pair of Shankar Sandringham Baroque Mink Accent Chairs 085-34-02-01-01 Upholstered in a sumptuous mink baroque velvet effect fabric. 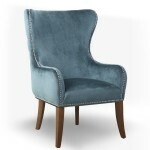 Glorious baroque swirls and a silky striped back. 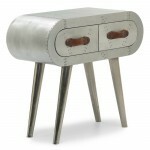 Chrome effect.. Pair of Shankar Sandringham Stonewash Grey Accent Chairs 085-18-01-01-01	Upholstered in a sumptuous grey stonewash effect fabric.Chrome effect designer ring on the back.Fashionable dark rubberwood leg.. 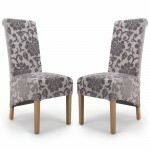 Pair of Shankar Sandringham Stonewash Natural Accent Chairs 085-18-02-01-01 Upholstered in a sumptuous natural stonewash effect fabric. 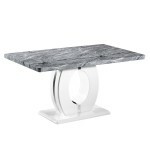 Chrome effect designer ring on the back. Fashionable dark ru..
Grey Sofa - Shankar Dorchester Diamante 2 Seater Sofa 802-09-03-10-01 Stunning 2 seater sofa in grey brushed velvet fabric upholstery The Dorchester 2 Seater Sofa is full of charm and sere..
Grey Sofa - Shankar Dorchester Diamante 3 Seater Sofa 801-09-03-10-01 Stunning 3 seater sofa in grey brushed velvet fabric upholstery The Dorchester 3 Seater Sofa is full of charm and serenity ..
Mink Sofa - Shankar Dorchester Diamante 2 Seater Sofa 802-09-02-10-01 Stunning 2 seater sofa in mink brushed velvet fabric upholstery The Dorchester 2 Seater Sofa is full of charm and serenity with..
Mink Sofa - Shankar Dorchester Diamante 3 Seater Sofa 801-09-02-10-01 Stunning 3 seater sofa in mink brushed velvet fabric upholstery The Dorchester 3 Seater Sofa is full of charm and serenity with..
Mink Sofa - Shankar Dorchester Diamante 4 Seater Sofa 800-09-02-10-01 Stunning 4 seater sofa in mink brushed velvet fabric upholstery The Dorchester 4 Seater Sofa is full of charm and serenity with..
Office Chairs - Rocco Grey Leather Effect Office Chair 096-14-01-10-01 by Shankar Upholstered in a stunning and luxurious Graphite Grey leather effect material Fabulous button detailing on th..
Office Chairs - Rocco Luxury Grey Office Chair 096-09-03-10-01 by Shankar Upholstered in a stunning and luxurious Grey Brushed Velvet Fabulous button detailing on the front, back and sides. ..
Office Chairs - Rocco Yellow Leather Effect Office Chair 096-14-03-10-01 by Shankar	Upholstered in a stunning and luxurious Yellow leather effect material Fabulous button detailing on the front, .. 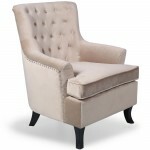 Downtown Grey Brushed Velvet Ottoman Storage Seat 651-09-03-01-01	This chic storage ottoman has wonderful scrolled arms combined with designer brass coloured studding detail.Upholstered in a luxurious.. 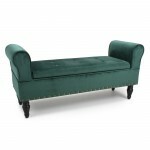 Downtown Green Brushed Velvet Ottoman Storage Seat 651-09-40-10-01	This chic storage ottoman has wonderful scrolled arms combined with designer brass coloured studding detail.Upholstered in a luxuriou.. 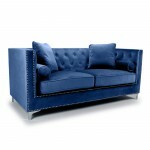 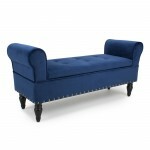 Downtown Ocean Blue Brushed Velvet Ottoman Storage Seat 651-09-32-10-01	This chic storage ottoman has wonderful scrolled arms combined with designer brass coloured studding detail.Upholstered in a lux..
Shankar Jamestown Crushed Velvet Silver Armchair JMST-AC-CV-SILVER	A stylish arm chair with sumptuous upholsteryThe Jamestown Armchair features a sumptuous silver coloured crushed velvet fabric uph..
Shankar Dorchester Green Brushed Velvet 2 Seater Sofa 806-09-40-10-01	This square edge two seater sofa is designed to transform the interior look of any room.Upholstered in a gorgeous green coloured b..
Shankar Dorchester Green Brushed Velvet 3 Seater Sofa 807-09-40-10-01	This square edge three seater sofa is designed to transform the interior look of any room.Upholstered in a gorgeous green coloured..
Shankar Dorchester Green Brushed Velvet 4 Seater Sofa 805-09-40-10-01	This square edge large four seater sofa is designed to transform the interior look of any room.Upholstered in a gorgeous green col..
Shankar Dorchester Grey Brushed Velvet 2 Seater Sofa 806-09-03-10-01	This square edge two seater sofa is designed to transform the interior look of any room.Upholstered in a gorgeous grey coloured bru..
Shankar Dorchester Grey Brushed Velvet 3 Seater Sofa 807-09-03-10-01	This square edge three seater sofa is designed to transform the interior look of any room.Upholstered in a gorgeous grey coloured b..
Shankar Dorchester Grey Brushed Velvet 4 Seater Sofa 805-09-03-10-01	This square edge large four seater sofa is designed to transform the interior look of any room.Upholstered in a gorgeous grey colou..
Shankar Dorchester Ocean Blue Brushed Velvet 2 Seater Sofa 806-09-32-10-01	This square edge two seater sofa is designed to transform the interior look of any room.Upholstered in a gorgeous ocean blue ..
Shankar Dorchester Ocean Blue Brushed Velvet 3 Seater Sofa 807-09-32-10-01	This square edge three seater sofa is designed to transform the interior look of any room.Upholstered in a gorgeous ocean blu..
Shankar Dorchester Ocean Blue Brushed Velvet 4 Seater Sofa 805-09-32-10-01	This square edge large four seater sofa is designed to transform the interior look of any room.Upholstered in a gorgeous ocea..
Shankar Tub Chair and Stool in Grey Brushed Velvet 057-09-03-05-01	Upholstered in a grey coloured brushed velvetHighly comfortable thanks to a deeper seat.A classic Tub Chair and matching footstool wi.. 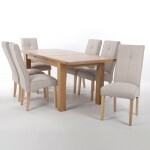 Dining Set - Shankar Solid Oak Extending Dining Table and 4 Linea Cream Dining Chairs Set comes with 1x Solid Oak Extending Dining Table and 4x Linea Cream Dining ChairsCrafted from gorgeous Solid.. 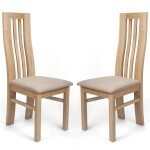 Dining Set - Shankar Solid Oak Extending Dining Table and 6 Linea Cream Dining Chairs Set comes with 1x Solid Oak Extending Dining Table and 6x Linea Cream Dining ChairsCrafted from gorgeous Solid.. 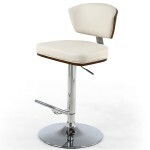 Dining Set - Shankar White High Gloss Dining Table and 4 Grey Dining Chairs Set comes with 1x High Gloss White Dining Table and 4x Grey Faux Leather Dining ChairsWhite high gloss table topStr.. 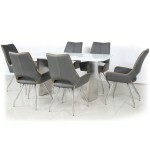 Dining Set - Shankar White High Gloss Dining Table and 6 Grey Dining Chairs Set comes with 1x High Gloss White Dining Table and 6x Grey Faux Leather Dining ChairsWhite high gloss table topStr..
Shankar Neptune 150cm Marble Effect Dining Table 914-21-01A modern styled Marble Effect Top Dining TableCircular highly Polished Chrome base.This stunning table is a real alternative to marble and has..
Shankar Neptune 180cm Large Marble Effect Dining Table 922-21-01A large modern styled Marble Effect Top Dining TableCircular highly Polished Chrome base.This stunning table is a real alternative ..